Hot on the heels of the Starbucks UK tax scandal (see an excellent discussion of this here), and the Facebook UK tax scandal, we now have a new report from Radio Canada, the French-Canadian public television, which explores on its Enquête investigative programme (in French) a classic piece of dubious transfer pricing gymnastics by the world-famous Montreal-headquartered Cirque du Soleil, which has transfered its trademark to a subsidiary in Luxembourg. The trademark subsidiary is Cirque du Soleil i.i.i. SA registered at 16, avenue Pasteur in Luxembourg, and company management acknowledges that it has used this subsidiary for tax purposes - since 90 percent of revenues come from outside Canada, mainly from the United States where the company has 5 permanent shows in Las Vegas and one in Los Angeles - plus many touring productions around the world. Royalties paid to that subsidiary are taxed at 5,72% in Luxembourg, avoiding the average 25% in Canadian corporate tax that would apply if the royalties revenues were taxed in Canada. Canada has a tax treaty with Luxembourg. In essence, for those not familiar with transfer pricing, the company assigns an artificially high value to the Luxembourg subsidiary, which then charges the other parts of the company very high royalties for the use of its trademark. This way, the Luxembourg-based subsidiary makes huge profits (which are taxed at exceedingly low rates) and in the 'real' countries where Cirque du Soleil actually places its prancing acrobats, those royalties are deducted against local profits, for tax purposes. As a result, the multinational entertainment group cuts its tax bill but without making anything, anywhere, more efficient: it is simply a transfer of wealth away from taxpayers in Canada and elsewhere, and towards the wealthy owners of Cirque du Soleil. 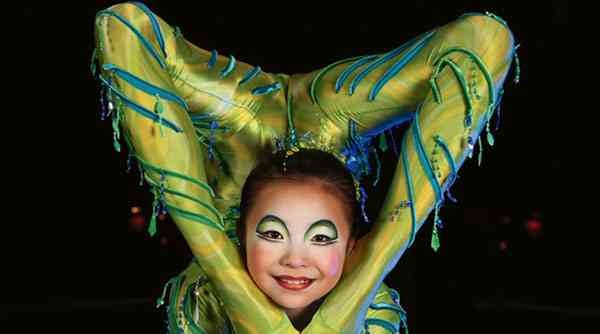 Le Cirque du Soleil is a privately held company owned by its founder Guy Laliberté and is headquartered in Montréal, Québec, Canada. Financial results of the company are not public but Forbes estimates Guy Laliberté's net worth, which is mostly linked to his holding in Cirque du Soleil, at $2,5 bn. A wealth of information and analysis on transfer pricing is available here, and if you want to see a gripping yet highly accurate movie about the whole rotten system, catch We're Not Broke, which is currently -- like Cirque du Soleil, but with more dignity -- touring the world.